With spring's official arrival on Sunday, we were motivated to spruce up the entry way/ front door. Take a look. 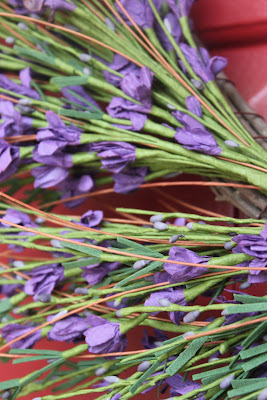 Starting with our wreath... I really like those sweet 'egg types'. But I needed something that would last beyond April. 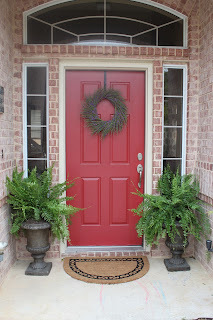 A quick trip to HomeGoods provided us with a beautiful wreath for a great price. 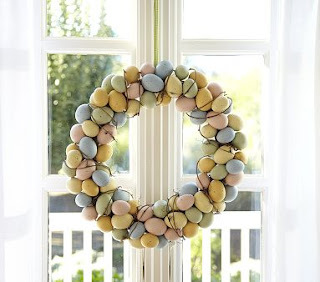 For $19 I found this 'lavender' wreath which will take me from Easter to summer. 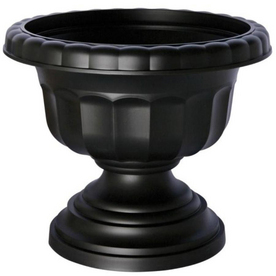 The black urns have been on my 'wishlist' for an entire year. We shopped around forever. They can be pricey. And all the less expensive ones I found were plastic. I felt like if we were going to spend $30 or more per urn, they needed to be heavy. Finally we made it over to Garden Ridge. (Which has an interesting array of inventory these days.) 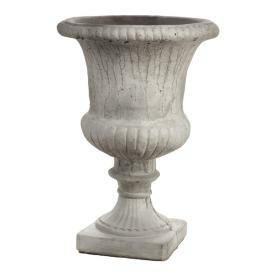 We found these solid, heavy cement urns for $59 each. They were worth the wait! 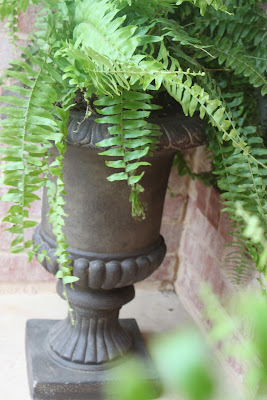 I love all the bright green that surrounds our entry way now. 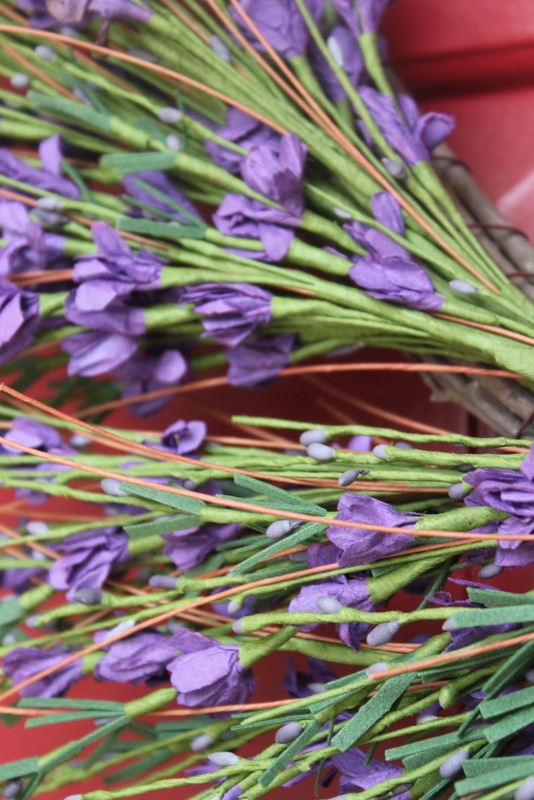 Feels so springy! What projects are you working on now that the seasons have changed? 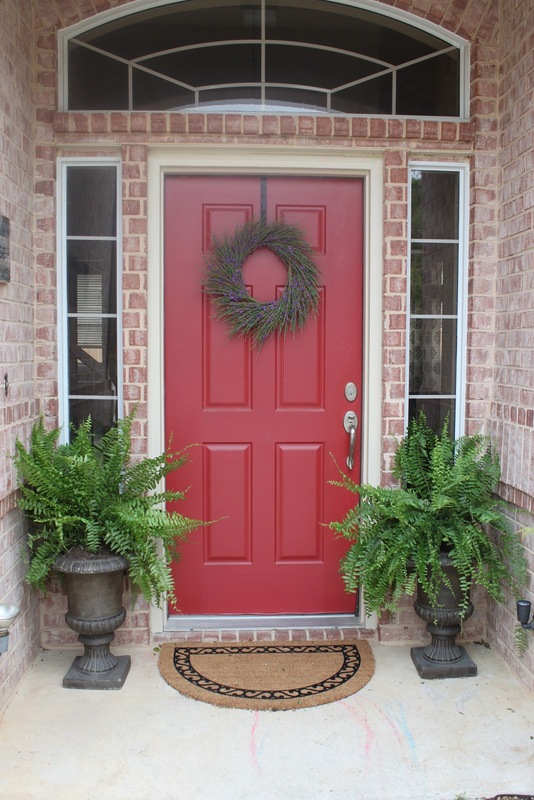 okay, so we have the exact same urns at our front door! question, do yours have a hole in the bottom for water to drain? ours don't, but i'm considering adding them. 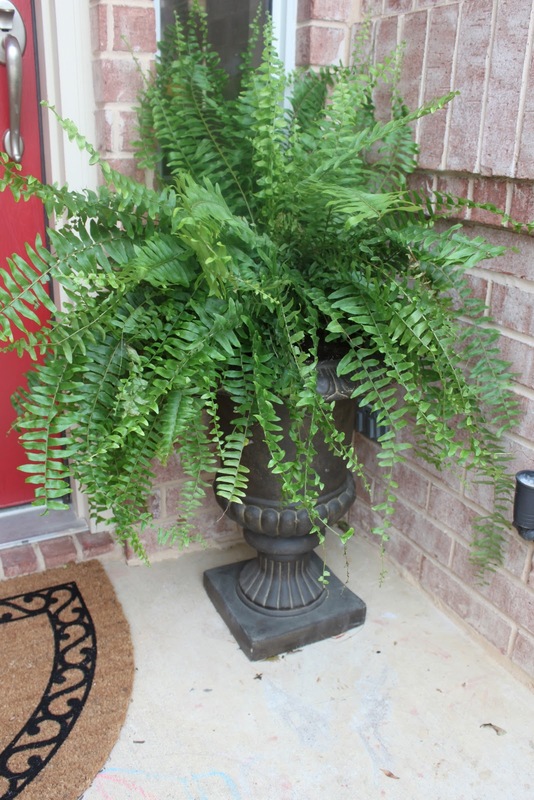 second, how often do you water your ferns? ours our under the shade/porch like yours and i always seem to kill them. tips please!!! That's so funny- we both must have excellent taste! I haven't drilled holes in the bottom because I don't want brown water dripping out on my front porch. Generally ferns don't need a lot of water. So I am thinking I will water them once a week for now. And then twice a week when it gets hot. If the leaves get yellow- too much water. If they turn brown- not enough. I might try those "watering balls". Then they will just water themselves!